The Elephant in the Election – Why can’t Secular Politicians Cope with Islam? It’s a beautiful Spring day today so I am heading off for a 30 mile cycle round Dundee. But I post this before I leave. With some degree of trepidation. Its my latest post on the Christian Today website. I believe that this is a vital area in the UK election and that most of our politicians are not seeing it. I don’t agree with Islamaphobia but I think it is foolish for our politicians and media not recognise that Islam is a political system which seeks to destroy and take over the Western system. I would be interested to hear your thoughts. In the current UK election there is one subject which is vital to the whole future of Britain, and yet it is hardly mentioned, other than in vague soundbites. Not the economy, nor the question of Scottish independence, nor the future of the National Health Service, vital as each of these are. No, the subject that dare not speak its name, that politicians avoid like the plague, is Islam. And immediately all the alarm bells start ringing. So let me switch them off before we seriously consider this subject from a Christian perspective. I have a phobia about Islamaphobia. I find the racist, jingoistic Islamaphobia of the English Defence League, the BNP and other ‘nicer’ parties nauseating. I have every empathy with my Muslim neighbours when they are faced with such prejudice and fear. And I am angry that these groups dare to claim the name of my beautiful Saviour Jesus Christ, and declare that their ugly politics are somehow ‘British Christian’ values. Nor am I interested in some kind of turf war between religions as though this were a ‘my God is better than your God’ contention. But equally I am concerned that fear of Islamaphobia is blinding many of our politicians to the threat we face from Islam. Why is Islam a threat to our society? It was Christianity that brought the sacred/secular divide into the Western world. It was Christianity, especially after the Reformation, which taught that there were two kingdoms and that the one was not subject to the other. 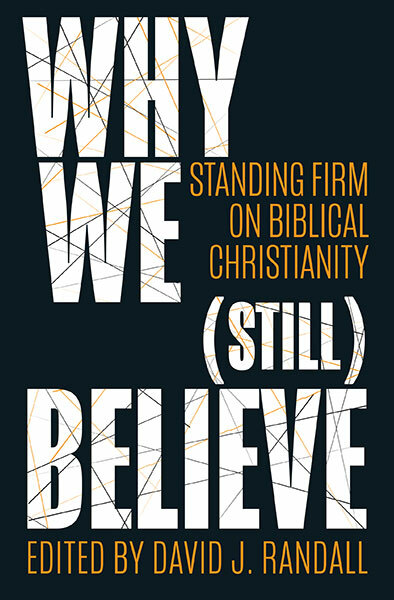 It was within that Christian context that secularism was able to develop and flourish. Christianity is the bedrock and foundation of our secular society. Islam is different. Islam has no doctrine of separation of the spiritual from the political. Islam is, and has always been, a political movement. There can be no such thing as secular Islam. In the Islamic view the world is divided into two houses, Darus Salma, the house of Islam, and Darul Har, the house of war. The former is the actual area controlled by Islam, full political and religious control; the latter is those areas of the world still unsubdued by Islam. Islam means ‘submission’, not peace. “The Muslim cannot remain neutral with regard to the State. He has an alternative: either the ruler and the government are Muslim, in which case he supports them. Or they are not Muslim, in which case, he must reject them, oppose them and do everything in his power to change them, peacefully or by force, by openly declared or secret activity. This is neither fanaticism nor prejudice. The question is much simpler. This religion was revealed thus – as a religion and as a state. It imposes itself upon individuals and groups, for it is the law of God, and it is impossible for us to substitute another” – Hussein Kuwalti. This is not ‘extremist’ fringe Islam. This is Islam 101. Why can’t Secular Politicians cope with Islam? 1) Because their ideology blinds them to the facts. Secular liberal ideology has two fundamental doctrines which they just believe, (without evidence). First, that all religions are the same (equal) and secondly that all religions are or should be privatised. If religions agree to be privatised then they can all be ‘respected’ as harmless and indeed may even offer some internal and external community good. But if any religion seeks to act in the public sphere then suddenly its proponents become ‘fundamentalists’ or ‘extremists’. The minute you step out of the secular ‘liberal’ narrative that is what you are labelled. You see this attitude being displayed all the time in our mainstream media and by our leading politicians. Last week on BBC Question Time, Vince Cable, when asked about the persecution of Christians and the decline in Christianity in the UK, came out with the usual platitudes. We must respect all religions and all religions have fundamentalists. The narrative is that Islam is the same as Christianity, that ISIS and others are just fundamentalists who are not really part of the ‘religion of peace’, and that Christians have their own ISIS equivalents. All untrue. However the main point is that mainstream Islam does not, and cannot, fit in with the worldview and doctrines of our liberal secularists. And because our politicians do not see that, they cannot deal with it. However this is not to say that all liberal secularists are the same. There are some honourable exceptions – such as the late, great Christopher Hitchens, or the atheist who wrote to the newspaper defending yours truly and warning his fellow atheists, that the real danger to our freedoms come not from Christian but from Islamic political theology. But most are too locked into their own anti-religious therapy navel gazing and limited world view that they dare not open their eyes to what is actually happening. Because their ideology is not strong enough to cope with a mass movement outwith their understanding. I recently attended a Monday night meeting at a mosque in my city. It was a debate panel with a Muslim, a pagan, a Baha’i and yours truly. Apart from the fact that the Muslims loved my destruction of the pagan and Baha’i arguments (even stating that if it were not for Jesus I would almost be a Muslim!) I was impressed by what I observed. There were 150 mostly young men on a Monday night at a prayer meeting. This was not Friday prayers. This was only one of five mosques in the city. And there was a community, social and political aspect which was very impressive. But I was also depressed. Because I knew that there was no church in the city that would have 150 men coming to pray. Because I knew that there was no political or social organization in the city that could come remotely near matching what I observed. And this in a city where only 2 per cent of the population are Muslim. Imagine what power they can hold in a town or city where 25 per cent are Muslim? It’s not so much the numbers – government is not done by opinion poll. It’s the organisation, social cohesion, wealth and internal discipline that brings the political power; if you want it. And Islam does. A survey was released this week which shows that in the UK as a whole Islam will be 11 per cent of the population within a couple of decades. Our secularists cannot cope with that. Because they are too short term and spineless. Our politicians are too short term. The retreat from ideology means that many politicians have little to be concerned about only other than winning the next election and furthering their own careers. The retreat from ideology may have its benefits, but one of the downsides is that they have no ideology or basis for standing up to the political, social and religious ideology of Islam. They know that the racism of the EDL and the BNP is wrong, but they are not prepared to take on the equally wrong political ideology of Islam. Not only are they clueless but they lack backbone. They don’t want to be accused of Islamaphobia and they don’t want to alienate the substantial number of Muslim voters. So they either keep quiet or utter wishful platitudes. What can the Church do about it? So where does that leave us? How can we react as Christians? Is it inevitable that Britain and the West will descend into either some kind of secular totalitarian State, or an Islamic one? It should go without saying that we are not looking for the 21st century equivalent of the crusades. Nor can we be about the defence of a long gone Christendom. Nor are we to encourage the fear of Muslims. Instead we are to respond biblically. First, we proclaim the truth. We are prophets, not politicians. We believe in what the Bible teaches. We know that the kingdom of God does not come by the power of the sword. We know that our salvation does not come from submission to a capricious Allah, but rather from forgiveness received from a God who so loved that he gave his son. We follow the One who said ‘I am the Truth’. He is truth personified. My Muslim friends in the Mosque were right – Jesus does make the absolute difference, because Christianity is not a political, social or even just a religious system. It is following the One who is Love. Second, we live the truth. Muslims are right to be disgusted at the pathetic and weak state of Christianity in this country; professing Christians whose lives contradict their profession, ‘Christian’ teachers who spend their time undermining the Bible, churches who compromise with the culture and go along with the system. I understand and sympathise with their analysis. I remember after one debate with a Muslim being approached by a woman in a burka who asked me “do you really believe there is one God, one Creator? Do you really believe the Bible is the word of God? In heaven and hell?” When I said yes, she replied “I have been to many such debates and you are the first Christian I have heard say this..you are almost a Muslim!”. Finally we believe the truth. God is sovereign. In his sovereignty he has brought millions of Muslims to our country. Perhaps it is a judgement, but it is also a tremendous opportunity. When the Ayatollah Khomeini came to power in the Iranian revolution in 1979, there were church leaders in Iran who thought that he was the agent of Satan. They don’t say that anymore. They regard him as the agent of God – why? Because since then, it is reckoned that over 2 million Iranian Muslims have become believers in Jesus. We are to love our fellow Muslim citizens, not fear them. And if we really want to love our Muslim neighbours then we need to proclaim through our words and deeds, the good news of Jesus. Meanwhile we pray for our politicians, that they will not blindingly continue down this path of destruction away from the Christian foundations of our nation, and that they too will ‘kiss the Son’ (Psalm 2). On the whole I agree with a lot of your analysis (we differ on the solutions obviously). From the global violence perspective – historically, Christianity has had its own violent past where many people were killed in the name of Jesus and God. If Christianity took some 1700-1800 years to really think about stop doing that kind of thing and Islam is some 800 years younger we probably have another few hundred years of Islamic violence to content with. This ComRes poll is fairly alarming as there are appreciable numbers of Muslims in this country for whom violence may be an answer – http://www.comres.co.uk/polls/bbc-radio-4-today-muslim-poll. You would be hard pressed to find professing Christians who feel the same way. Whilst your solution is more Bible, I would seek ways to foster an Enlightenment of sorts for British Muslims. Once, the Islamic world was the centre of scientific thought and discovery but that strong desire for scholarship was lost due to the rise of the Ash’arism school among Sunni Muslims. Anti-rationalist approaches gave rise to the idea that the only thinking that was permissible was that which directly aided in religious regulation of private and public life. Where ancient texts get in the way of scientific facts, humanity fails to reach its potential, to look beyond simple teachings about how the black and white the world is and how disagreements and violence are the only way forward, rather than acceptance and partnership. Mind you, that is not just a Muslim problem. Douglas – thanks. However you are failing into the basic error that the article warns about. You read history through the glasses of your own philosophy/doctrines and thus you rewrite it. Islam is NOT a later form of Christianity – and early Christianity did not behave like early Islam. As a historian who has studied the development of both religions, the differences are phenomenal. Islam, for example, from the beginning spread by force. Christianity did not. There are fundamental differences between the two faiths – but an atheist secularist believes that all faiths are essentially the same, and so cannot recognise those differences. This plays into the hands of Islam. I agree with you about the dangers of simplistic teaching about how black and white the world is – all you have to do is look at atheist and secularist FB pages (such as SSS) to see that! Helpful as usual David. I believe Christians should care about the welfare of the society in which they live as aliens. Thus, in principle, Christians can be involved in politics as in other areas of society and some no doubt are called to do so. Clearly, their political involvement will show the same commitment we may expect of any other job Christians may do in society. That being said, I am unsure how much energy we should encourage spending on political efforts. We should act as salt. Indeed, just living as a Christian will mean we are salt even if we have little or no overt political interest or involvement. We certainly should avoid any impression that our calling is to rescue or redeem society. Caring for people may mean trying to change structures. It is part of ‘doing good to all men’ but it is easy to begin to think that the church has an obligation to challenge politically false ideologies such as secularism or Islam. To be sure we challenge these in preaching the gospel but how far we should seek to challenge them by political power lobbies I am not sure. Ironically, the very people Christians will desire, in the name of Christ, to give freedom to to live and worship according to conscience, when so given will eventually deny us the same freedom in the name of their faith. When Christians in the cause of Christianity. used violence iIt was in contradiction of their faith. This doesn’t seem to be the same in Islam. Violence is, for Islam, a legitimate weapon of faith. Where State and faith are ideologically one it is difficult to see how it could be otherwise. What nonsense. The whole point of religion is to make us win wars against those who do not share our beliefs and eventually take over the world. This is what the West has done through the White Anglo Saxon Protestant colonising the world and spreading first Christianity and then liberal democracy. I am surprised that you have not heard of the Crusades, the white man’s burden, civilising the world or indeed more recently liberal interventionism under the principles of the Wolfowitz Doctrine. What is sauce for the goose should also be sauce for the gander. The West can dish it out, but cannot take it and cries foul when the boot is on the other foot when really no more is being done than the West being given a taste of its own medicine when it was acquiring Western hegemony through force of arms. I think you’re analysis is spot on. I greatly appreciate your writing. Surprised you have any time to prepare your sermons and talks! Many thanks. Thanks for your thoughtful input on an overly sensitive topic. Of course we do have to bear in mind that hate crimes against Muslims are on the rise and not acceptable. Overall I heartily agree that that does not mean the subject is somehow not to be discussed. I have created a short blog on my own site today and referred to your blog and the excellent Quantum of Solas podcast. Keep up the great work!